NHBS’ staff members are wild about wildlife! To showcase this, we are encouraging our team to write blogs about their experiences with nature. 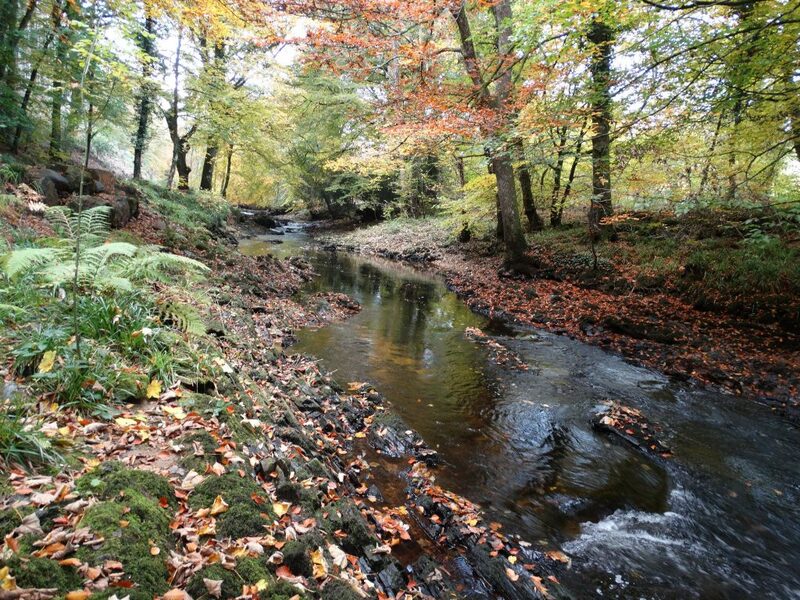 Stretch of the River Teign captured by Westcountry Rivers Trust via Flickr (CC BY 2.0). “On Monday 6th July I took part in a Waterway Survey for Daubenton’s bat along a stretch of the River Teign in Devon. The survey is completed twice per year in conjunction with the Bat Conservation Trust and is part of an ongoing data collection programme for bat species around the UK. The lead for this particular survey was John Mitchell who has been surveying this particular length of the Teign, near Teigngrace, for a good number of years. It was my third survey there. The survey was due to start 40 minutes after sunset, so we met at 9.00pm and made our way along the edge of a maize field to arrive at our first stopping point. This was to be a transect survey which meant walking a length of the river bank and stopping at ten predetermined points to record bat activity at each one. We stood at the river’s edge and immediately noticed that the river level was a lot lower than it was during our last visit a year or so ago. We recorded air temperature and cloud cover and, as we prepared, various species of bats could already be seen zooming around the trees and openings as they commenced another night of nocturnal foraging. The air was very warm, still and humid, and flying insects were everywhere including a host of moths and some less welcome biting species. As the light faded it was time to start. With bat detectors switched on and earphones in place, we directed a torch beam on the river’s surface and awaited the arrival of the first Daubenton’s. 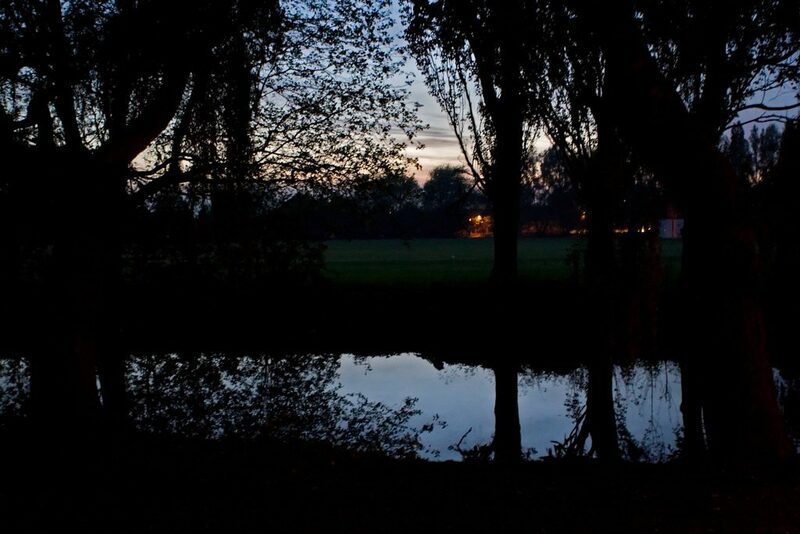 Looking for bats at twilight by Nic McPhee via Flickr (CC BY 2.0). The Daubenton’s bat is a species which typically occupies riparian woodland. They often roost in trees along the river bank and hunt by skimming low over the surface of the water for insects. They can take prey from the water’s surface using their feet or tail membrane. As bats skimmed through the torch beam we were able to count them. We counted the number of passes that we observed and for this a clicker counter is always useful! The bats that we heard but did not see were also recorded as additional information. I set my Magenta 5 at 50hz and listened whilst John relied on his trusty and more accomplished Bat Box Duet. After four minutes on the stopwatch we finished counting, compared counts and wrote down results. At stop number 1 there were certainly bats present, but they were swooping around quite high above the water surface and not showing the typical behaviour of Daubenton’s – John was dubious that they were our target species so we recorded them only as potential sightings. Using GPS devices and torches we left for Survey Point 2 further down the river bank and repeated the same process as before. At this location there was no denying that these WERE Daubenton’s bats, as the torch beam caught their pale almost white ventral fur, confirming their identity. Our detectors were full of noise too, including the typical intense zap as a bat homed in on prey. A close-up of a Daubenton’s bat. Image captured by Gilles San Martin via Flickr (CC BY 2.0). On we progressed with eight more stopping points to go. Occasionally our river bank scrambles took us through thickets of invasive Himalayan balsam (Impatiens glandulifera) and Japanese knotweed (Fallopia japonica)– a sobering reminder of how our countryside is changing. The night remained still and warm and it almost felt like we were in a different country. After eight more stops my watch said 11:20pm. It was good to see that bats were in profusion that night, as John stated ‘It was one of the best ever totals, with one stopping point recording over 50 passes!‘. To find out more information about the various bat detectors available, go to our website. To find out more about how you can help bats in your local area, have a look at our handy guide. If you like the idea of taking part in Waterway Surveys (or other kinds of bat surveys) then contact the Bat Conservation Trust or have a look at their website here. It’s great fun and you can put your bat detector to important use! Kaleidoscope Pro is now available as an annual subscription, providing an economical way to access the excellent analysis features of this software. A discounted package is also available for students or academics who buy a subscription using an official university purchase order. Each subscription will give you access to the software for 366 days and an automated email will remind you to renew at the beginning of the month that your current subscription is due to expire. 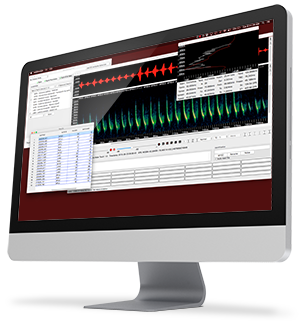 For customers who have purchased a copy of Kaleidoscope Pro in 2017, Wildlife Acoustics are offering you the chance to convert this to an annual subscription. Depending on when your software was purchased, you will be entitled to a one, two or three-year subscription (see the table below). This offer is valid until the 31st January 2018. To take advantage of this offer: When Kaleidoscope Pro 4.5 is launched, you will receive a popup window notifying you of the conversion offer. You will be able to accept or decline at this time. If you choose to accept, your permanent license will be deleted. Wildlife Acoustics have recently been investigating a problem where first generation (black) Echo Meter Touch units are not working with devices running iOS 11. They have now developed a firmware update which will fix this issue. Affected models will need to be returned to one of the Wildlife Acoustics service centres: these are located in the US, Australia and the UK. The update will be performed free of charge and your device shipped back to you as quickly as possible. Only modules with serial numbers greater than EMT00494 are affected. Second generation (red) Echo Meter Touch 2 units are not affected. Once units have been updated, any further alterations to the firmware will be able to be performed using a normal app update. As a gesture of goodwill, Wildlife Acoustics will be donating US$10 for each module that is repaired before 31st January 2018, split between Bat Conservation International and the Bat Conservation Trust. The newest version of Kaleidoscope, version 4.3.0, is now available to download from the Wildlife Acoustics website. See below for details about the new features included in this release, as well as a handy table to see which version of Kaleidoscope is right for you, and some useful tutorial videos. New bat classifiers for North America, Neotropics, Europe and South Africa as well as updated common names for some species. The default setting for classifiers is now “Balanced” which is a useful compromise between the more sensitive and more accurate options. Kaleidoscope now reads and write GUANO information alongside Wildlife Acoustics metadata (WAMD). This will been shown in the file at the end of the metadata notes window. Several bugs have also been fixed in the new release, details of which can be found in the Kaleidoscope documentation. Which version of Kaleidoscope is right for me? 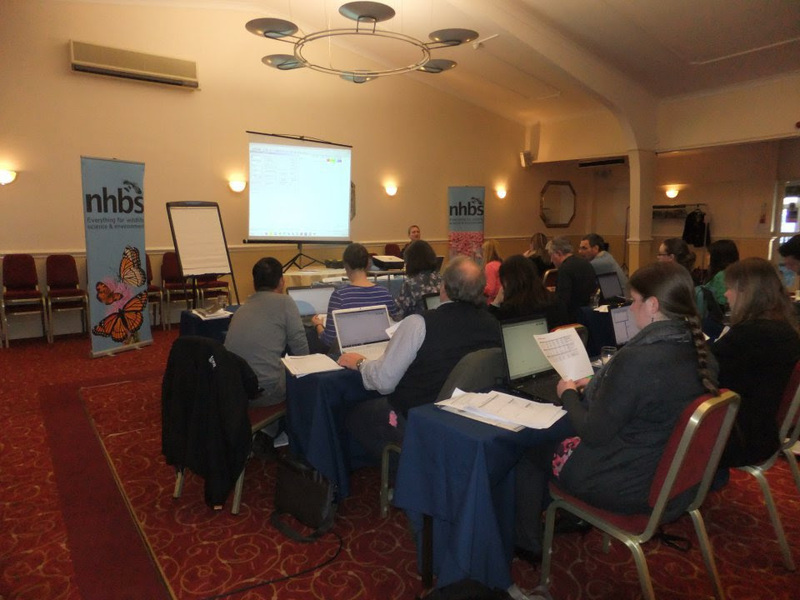 Kaleidoscope UK, Kaleidoscope Neotropics and Kaleidoscope Pro are all available to purchase from NHBS. It’s that time of year again. Spring has sprung earlier than ever, and the survey season will very soon be under way. In this post we look at some of the fantastic new bat detectors due for release this spring. 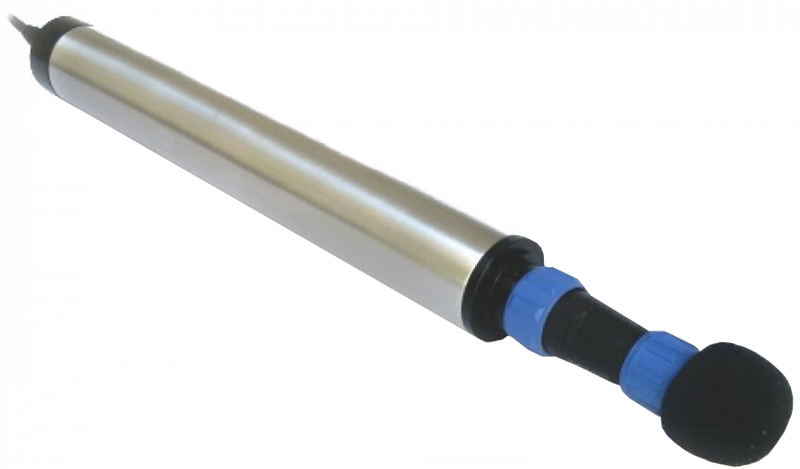 The Anabat Swift from Titley Scientific is based on the excellent design of the Anabat Express and records in full spectrum as well as zero crossing. Users can choose between sample rates of 320 or 500kHz and a built-in GPS receiver automatically sets the clock, calculates sunrise and sunset times and records the location of the device. 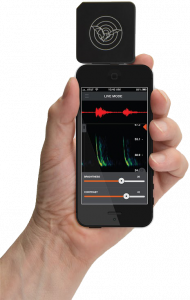 The Echo Meter Touch 2 is perfect for bat enthusiasts and students and will let you record, listen to and identify bat calls in real-time on your iPad, iPhone or iPod Touch. All you need is your iOS device, your Echo Meter Touch 2 and the Echo Meter Touch App which is a free download from the iTunes store. Designed for consultants and professional bat workers, the Echo Meter Touch 2 Pro has all the great features of the Echo Meter Touch 2 but with additional user options such as an adjustable sample rate (256kHz and 384kHz), adjustable gain and advanced trigger settings. 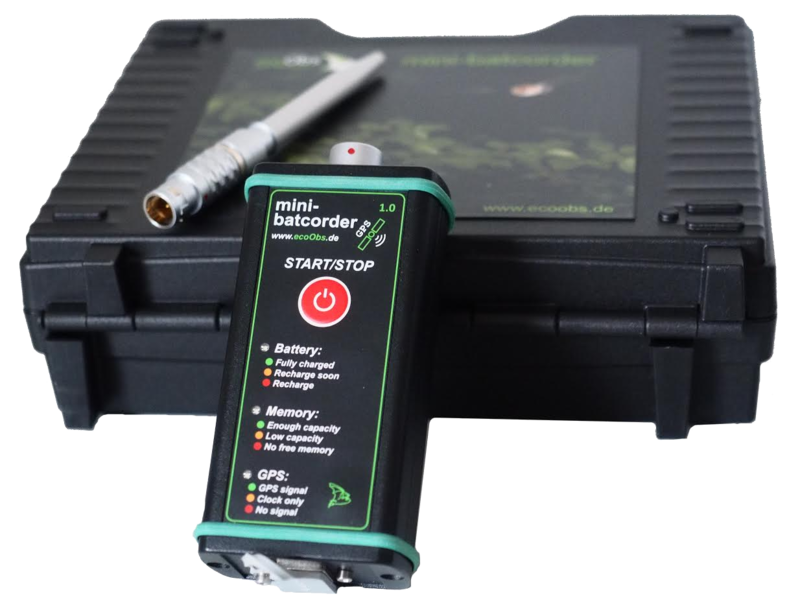 The compact Batcorder Mini has a very simple user interface with just a single button to start and stop recording. Calls are recorded in full spectrum onto the built-in memory (64GB) and the internal lithium-ion battery is chargeable by USB. A built-in GPS receiver sets the time, date and location. This high performance ultrasound microphone will connect to a USB port for real time listening and can also be used as a stand-alone recorder when used with a USB battery. An internal microSD card slot allows data to be recorded. The Batcorder GSM is designed for use at a wind turbine site and includes a microphone disk which is inserted directly into the turbine nacelle. The unit runs off mains power from the turbine and a GSM function lets you receive status messages, reassuring you that everything is recording correctly. A Raspberry Pi setup also lets you backup your files to a memory drive and download data directly or over an internet connection. 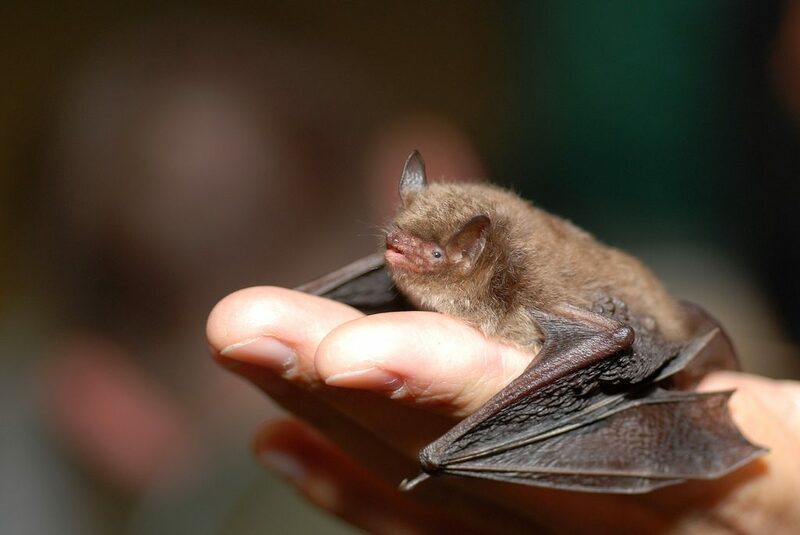 As part of their Heritage Ability project, Living Options Devon recently hosted the UK’s first ever Deaf-led bat walk at the Love Parks event, in Cockington Park, Devon. 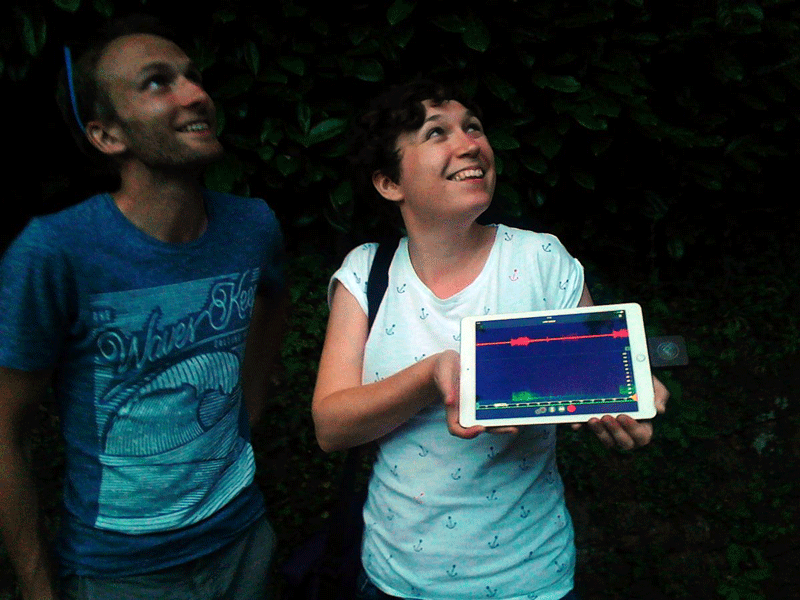 NHBS are delighted to have been able to loan them an Echo Meter Touch bat detector from Wildlife Acoustics, which allowed the attendants to view live sonograms on an iPad – whilst receiving further information in British Sign Language from the guide, Alasdair Grant. This fantastic event was part of a whole day of activities helping to make heritage sites more accessible for disabled and Deaf people. Alasdair, Deaf Alumni Programme Manager for Deaf Unity, who is working towards his bat license, led an inspiring bat walk which one participant said was “a memorable and unique experience”. The walk included watching soprano pipistrelles and lesser horseshoe bats exiting their roosts in outbuildings in Cockington Court, and common pipstrelles, serotine and noctule bats feeding in the park and lakes area. The walk provided a unique opportunity for Deaf people to see and learn more about the lifestyle of our British bats and how to identify different species using bat detectors with visual sonograms rather than by sound. The Echo Meter Touch connects to an iPad to provide an excellent and very accessible visual display of bat calls in real time. Living Options and Deaf Unity very much hope to run further bat walks in the future and would be delighted to advise other organisations and bat groups on how to lead bat walks for Deaf people. The Heritage Ability Project supports heritage sites in South West England to improve accessibility for disabled people. Funded by the Heritage Lottery Fund, the project is currently piloting different approaches with partner sites including museums, country parks, nature reserves and historic houses. 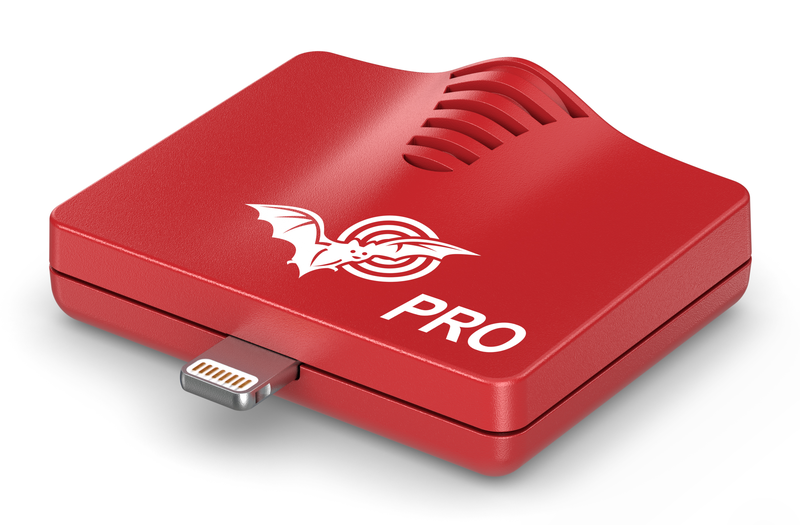 This tiny ultrasound module connects directly to your Apple device and lets you listen to bat calls in real time as well as viewing a live sonogram on your screen. 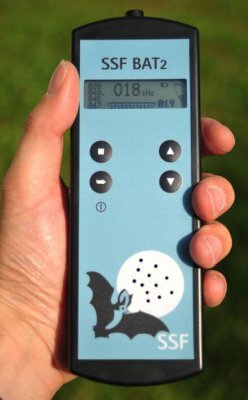 Ideal for bat walk leaders, the Echo Meter Touch provides you with plenty of real time information to share with your group, as well as letting you record and classify calls so you can provide a later update of all species heard during the walk. 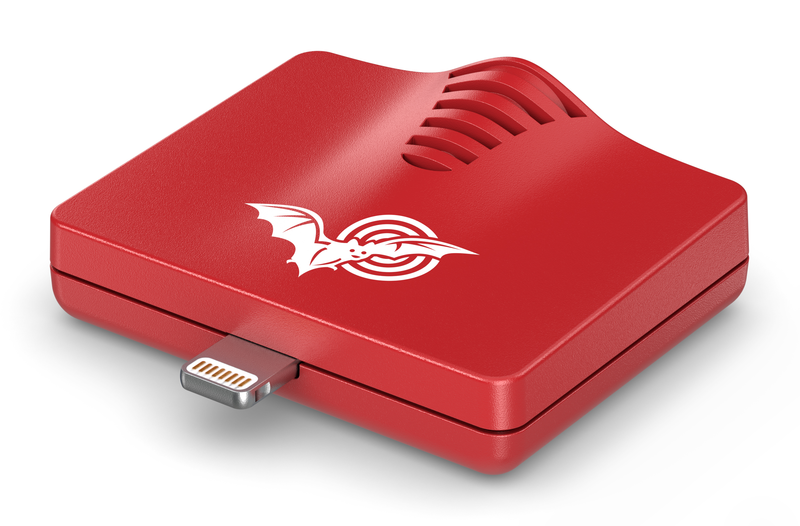 The Batscanner is one of the simplest bat detectors on the market – simply turn it on and listen. The device will automatically tune to the frequency of the bat call nearby and will display this frequency on the LCD screen whilst playing the sound back at an audible level. The SSF Bat2 cleverly scans all frequencies simultaneously and will jump to the peak (loudest) frequency at the touch of a button. Pre-programme up to four fixed frequencies and view a small spectrogram of the received call. Ideal for beginner or seasoned bat walkers. 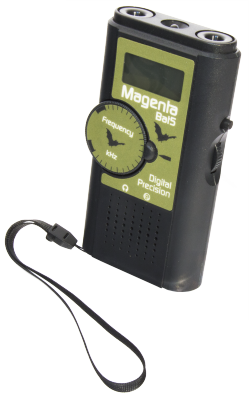 The Magenta Bat 4 and Magenta Bat 5 are our most popular detectors for beginners. Affordable to buy and simple to use, they convert the call produced by the bat into a sound which is easily heard through the speaker. Simply tune to the required frequency using the large dial on the front of the unit. 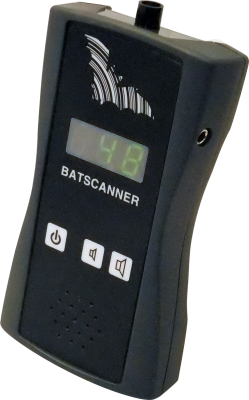 The Bat 5 also has a digital display which makes tuning the detector even easier. The bat survey season is just beginning and since our last update in November 2015 many of the new bat detectors have arrived in stock and we have received some customer feedback and updates on specifications from manufacturers. The total count of new bat detectors now stands at six – three passive full spectrum recorders from Elekon, two passive recorders in the Song Meter family from Wildlife Acoustics, and the handheld Anabat Walkabout from Titley Scientific. We have had the Wildlife Acoustics SM4BAT FS in stock on and off now for the last few weeks (supplies have been limited) but we now have plenty on the shelves. We are really impressed with these units – they are smaller, lighter and easier to programme than the old Song Meters and have massively improved battery life (up to 45 nights for the FS and 70 nights for the ZC). They come in a strong lockable enclosure that can easily be chained to a tree and include a 3m microphone cable when purchased with the SMM-U1 microphone. The ZC units have not arrived yet but are expected in early April. 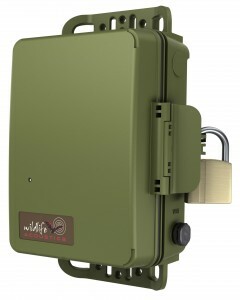 The SM4BAT detectors also include an incredible three year warranty (excluding the microphones). Wildlife Acoustics have also announced that they are phasing out the EM3+, the SMZC and the SM2BAT+, which are being replaced by the Echo Meter Touch, SM4BAT ZC and SM3BAT / SM4BAT respectively. Elekon have now released three new passive bat detectors within the last few months which are based around the very highly regarded Batlogger M handheld bat detector. The Batlogger C is probably the highest specification bat detector on the market today – it has everything you would expect from a high end passive detector including programmable recording schedules, fully weatherproof enclosure, and high quality full spectrum recordings as well as many extras. These include optional sms and/or email messages reporting the status of the unit and the number of recordings made as well as the amount of power remaining. Furthermore, because the Batlogger C also has in-built GPS it can send you an alert if the unit is moved. A wide range of power options are available: a 50 hour rechargeable battery is included and there is space for a second. Mains power is also an option as is solar power which requires the addition of the Batlogger C solar panel. When used with two 50 hour batteries, just half a day of sun in every 10 days should be enough to keep the Batlogger C powered indefinitely. Also from Elekon, the Batlogger A family – the A and the A+ are new miniaturised passive bat detectors. Both are programmable, are housed within a small weatherproof enclosure and include a Knowles FG microphone on a 2m extension cable. The Batlogger A will record for up to 30 hours on eight AA batteries (e.g. three 10 hour nights). 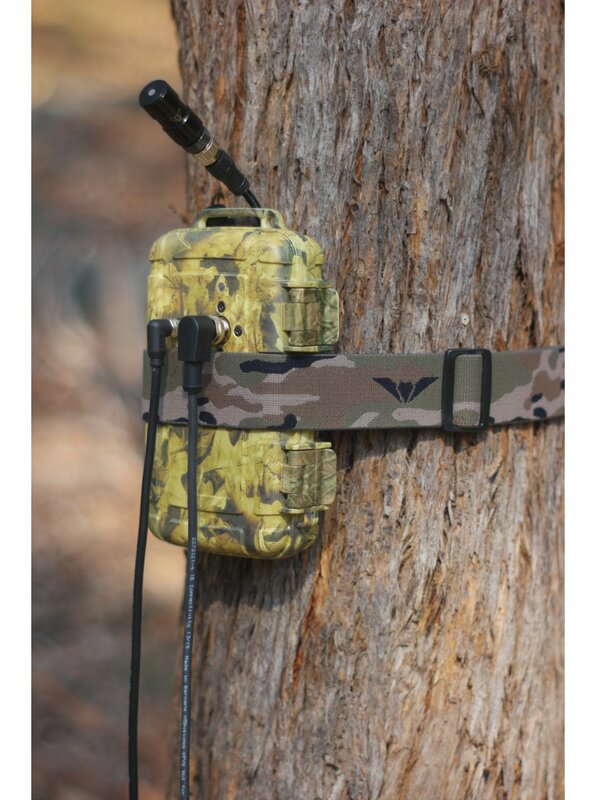 The Batlogger A+ was created after a customer contacted Elekon to say that the Batlogger A looked perfect for installing up trees and in other inaccessible location but that ideally, the battery life should be longer. 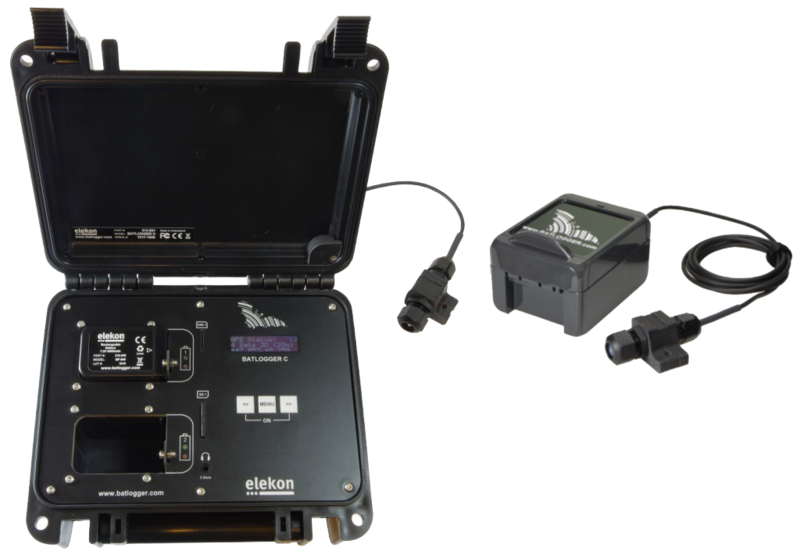 In response the team at Elekon quickly created the new Batlogger A+ which is slightly larger than the Batlogger A but includes the same rechargeable lithium ion battery used in the Batlogger C. This will power the A+ for up to 70 hours. Stock of both models are fairly limited so please contact us soon if you would like to place an order. A few software glitches delayed the release of the Anabat Walkabout in 2015 but this incredible new bat detector has now been in stock for several months. 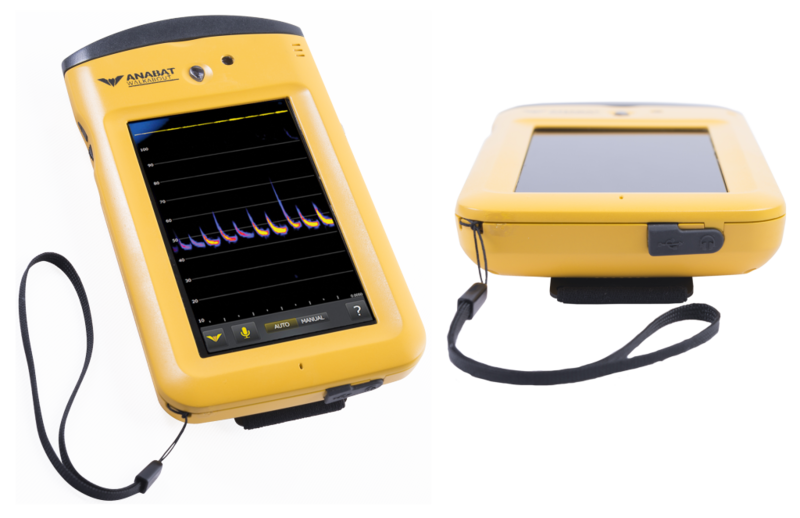 The touch screen Android tablet based bat detector not only records any passing bats but also lets you view the sonogram in real time in both full spectrum and zero crossing formats. A GPS, lux-meter, thermometer and humidity sensor are all in-built so not only will each call be geo-tagged but you will also be able to collect the full range of environmental data for each transect without needing any additional tools. A fully charged unit will last for around eight hours. The Walkabout bundle will soon also include a copy of Analook Insight analysis software to allow you to view and analyse full spectrum and zero crossing recordings. If you would like any help, advice, or a short loan of one of our demo bat detectors please get in touch with our Wildlife Equipment Specialists on 01803 865913 or customer.services@nhbs.com. Five new bat detectors will become available in 2016 – two new models in the Song Meter family of bat detectors from Wildlife Acoustics, two new passive detectors from the Swiss manufacturer Elekon and the long anticipated Anabat Walkabout. Here we will give you a quick round-up of the key features of each new detector along with news of several detectors which will no longer be available. 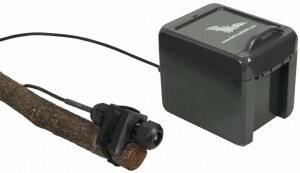 We will also introduce an exciting new BatCounter and camera trigger. The SM4BAT is available in a full spectrum or zero crossing version. 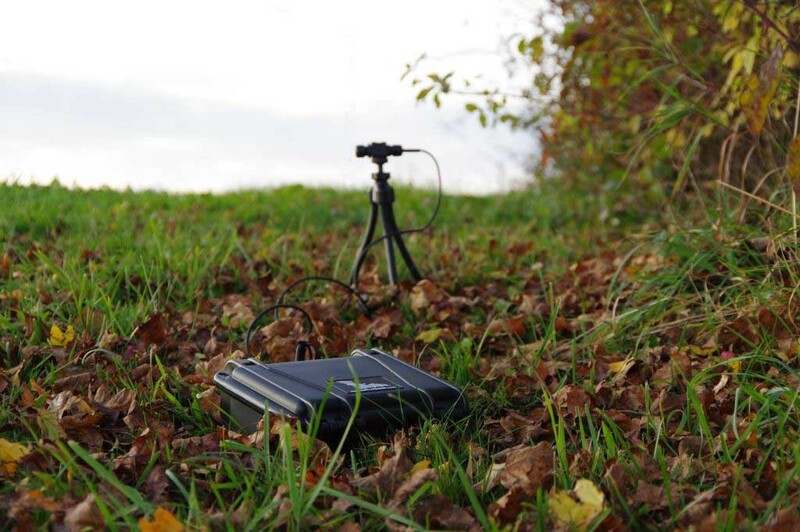 Wildlife Acoustics have brought out a new detector aimed squarely at the consultancy market – the SM4BAT. The SM4BAT is available in two versions – full spectrum (SM4BAT FS) and zero crossing (SM4BAT ZC). Both come in the same dark green plastic case (a bit like a Bushnell Natureview Trail Camera) which is weatherproof, slightly smaller and lighter than the SM2BAT+ and can be padlocked shut to prevent anyone tampering with the detector. Both use the SMM-U1 microphone which was designed originally for sale with the SM3BAT detector. They are also programmable and will record on a single channel for around 30 nights using four D-cell batteries. Wildlife Acoustics have also announced that they are phasing out the EM3+ and the SMZC, which are being replaced by the Echo Meter Touch and the SM4BAT ZC respectively. The Batlogger C (left) and Batlogger A (right) offer solutions for a variety of bat survey situations. Elekon have released two new passive detectors within the last few months which are based around the very highly regarded Batlogger M handheld detector. The Batlogger C is probably the highest specification bat detector on the market – it has everything you would expect from a high end passive detector including programmable recording schedules, fully weatherproof enclosure, and high quality full spectrum recordings as well as many extras. These include optional sms and/or email messages reporting the status of the unit and the number of recordings made as well as the amount of power remaining. Furthermore, because the Batlogger C also has in-built GPS it can send you an alert if the unit is moved. A wide range of power options are available: a 50 hour rechargeable battery is included and there is space for a second. Mains power is also an option as is solar power which requires the addition of the Batlogger C solar panel. When used with two 50 hour batteries, just half a day of sun in every 10 days should be enough to keep the Batlogger C powered indefinitely. Also from Elekon, the Batlogger A is a miniaturised passive detector. It is programmable and will record for up to 30 hours on eight AA batteries (e.g. three 10 hour nights). 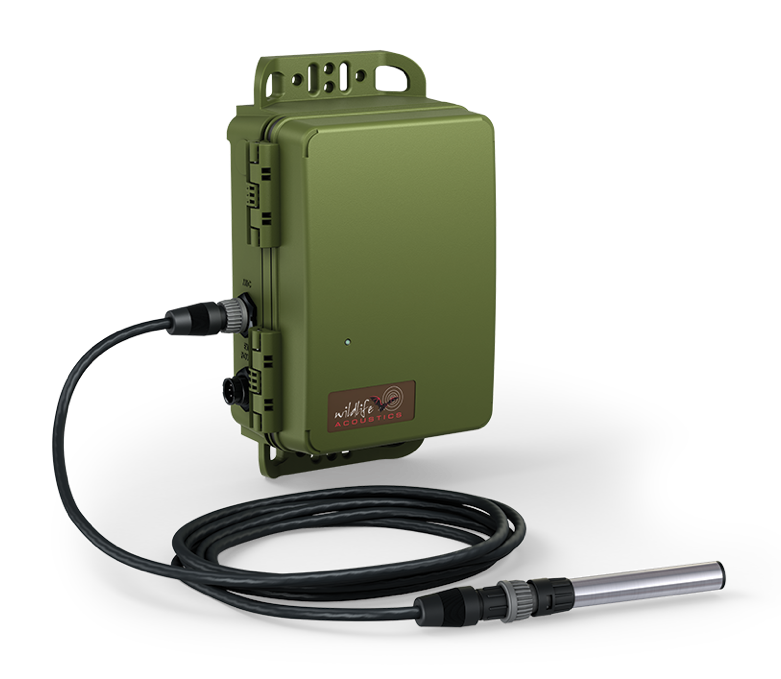 The Batlogger A is housed within a small weatherproof enclosure and includes a Knowles FG microphone on a 2m extension cable. 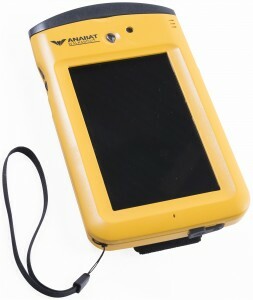 The Android based Anabat Walkabout allows you to view live sonograms in the field. The Anabat Walkabout, a handheld detector for transects and roost emergence surveys is also expected for the 2016 season. 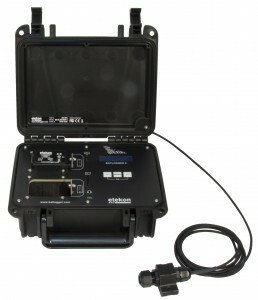 This touch screen Android tablet based detector not only records any passing bats but also lets you view the sonogram in real time in both full spectrum and zero crossing formats. A GPS, lux-meter, thermometer and humidity sensor are all in-built so not only will each call be geo-tagged but you will also be able to collect the full range of environmental data for each transect without needing any additional tools. A fully charged unit will last for around 8 hours. 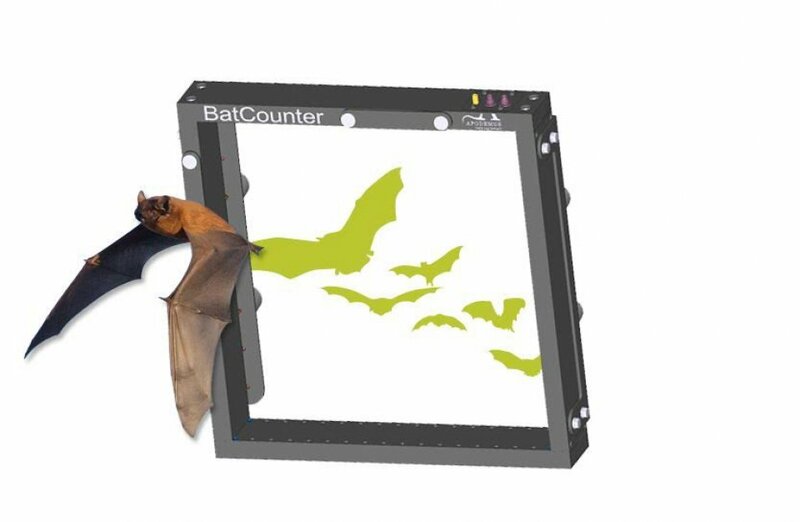 The BatCounter will log the number of bats passing through as well as the direction of their movement. 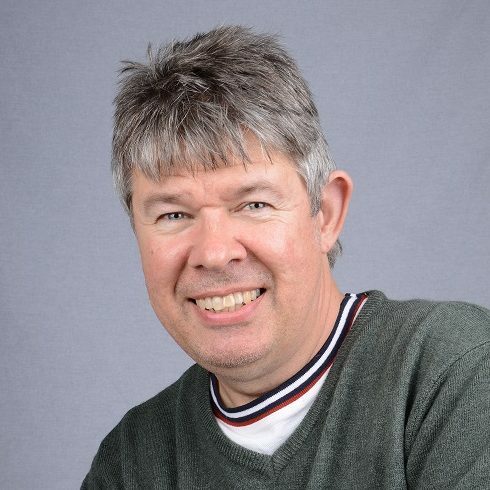 The BatCounter has the potential to be a very useful tool for both researchers and consultants. It uses a network of infrared beams to count, and log the direction of movement of bats moving through a detection area of 76 x 35cm (standard model) or 36 x 35cm (tree model). It has a GSM function that can send daily reports via text or email and will run for three days on eight AA batteries or for much longer periods using a 12V battery. You can also connect a Nikon or Canon DSLR camera and take pictures of the bats as they pass through the Batcounter. The new SM4BAT range of passive bat detectors from Wildlife Acoustics was announced at the 2015 Bat Conservation Trust AGM. The Full Spectrum (FS) version will allow you to record bat calls in 16-bit resolution at a sample rate of up to 500kHz on a single channel. The Zero Crossing (ZC) version is also single channel and will record zero crossing files. Both are weatherproof, come with a three year warranty and will record for up to 30 (10 hour) nights when powered with four high quality d-cell batteries. The SM4BAT FS and SM4BAT ZC are now available to order.